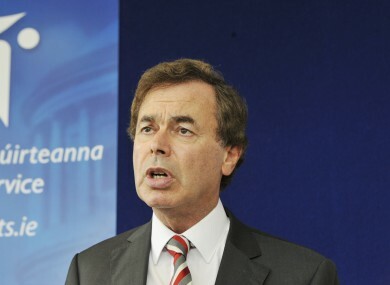 THE JUSTICE MINISTER Alan Shatter has confirmed that his Department is conducting an internal review into unidentified human remains in cornoners’ offices around the country. Shatter said the issue was an extremely important one but also noted that remains found at sea were particularly difficult to identify using DNA testing, RTÉ reports. The Minister said he had asked for a review of the assessment currently used to determine whether a different approach is more appropriate. On Friday, a new group calling for a database to be created in order to log information on unidentified remains met in Waterford to discuss the issue. The Committee for the Forgotten told TheJournal.ie that the group wants the database to be set up so that families can look at details of people who are found in order to help identify them. Founding member Sinn Féin councillor John Hearne here are currently unidentified body parts in two coroners’ offices that families urgently want to have tested. These bones were found in the sea, and require special testing which costs thousands of euro. A database could contain information such as identifying marks, tattoos, jewellery, clothing and trinkets found on or with the body – and thereby allow families to look for such information and potentially match it against information they have on their missing loved one. Hearne said the group are concerned about giving people found a dignified funeral. Email “Shatter: review into unidentified human remains in coroners' offices underway”. Feedback on “Shatter: review into unidentified human remains in coroners' offices underway”.